Fireworks in 7th century China to scare aware evil spirits but they also frighten away our furry friends (firework phobia). 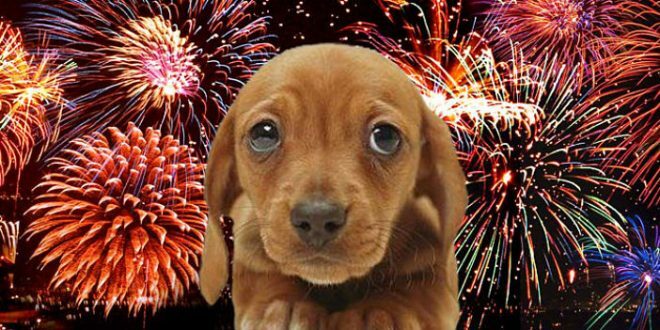 Noise, light, smoke and floating debris created by fireworks cause panic for our furry friends who are susceptible. The number of escapees on Australia day keeps rangers, pound and rescue groups are hectic for days after celebration. 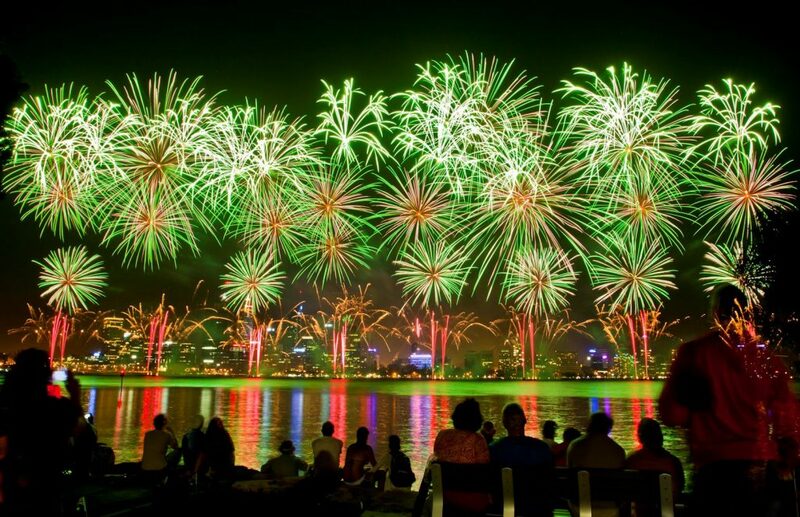 With the City of Perth’s Australia Day Skyworks on tonight, we’ve put together a helpful checklist to help reduce the fear and worry of our four-legged friends. Company – everyone can cope better with scary things if they have someone with them….this will need to be a human! Look for signs of worry such as pacing, trembling, panting, drooling, attention-seeking (vocalizing, pawing, nuzzling, and climbing on people), hiding, and bolting. If you’re not home (or even if you are), minimise the impact of the flashing colourful lights and the big booms and bangs of fireworks. Close blinds and put on a radio or the TV to drown out the sharp noises. All your pets should be wearing an ID tag or a collar that contains your phone number. Tags and collars can be lost, so a microchip is even more useful in helping you find your lost pet. For many a safe place with human company is all they need. Drug-Free Remedies include pheromones (Adaptil or Feliway). Some pets respond to pressure wraps, such as Thunder shirts or Anxiety Wraps. The pressure on the body may have a calming effect. Beware, sometimes this sensation is not calming but precipitates more fear. Mutt Muffs muffle the sound. 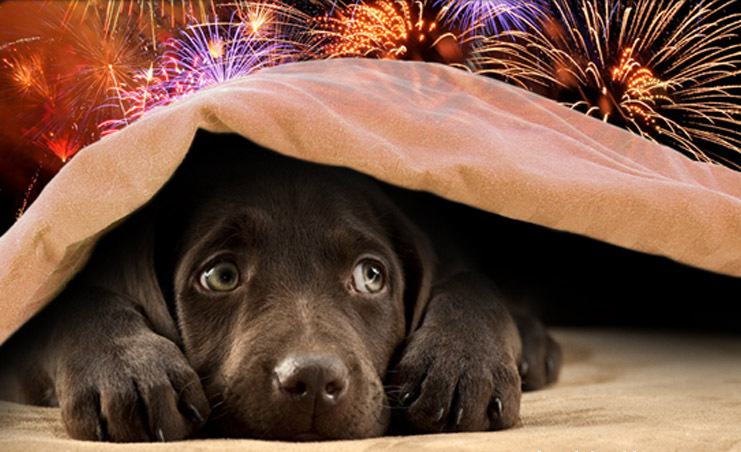 Pets with a long history of fear of fireworks you may need to plan well ahead. Seek advice from a veterinary behaviourist for behaviour training. For more information about our Behaviour Consults, please visit our page by clicking here: KALMPETS BEHAVIOUR CONSULTS.